Like millions of kids growing up in the 70’s, Veronica loved to watch television family westerns like The Waltons and Little House on the Prairie. But while most people focused on the heartwarming stories and characters on screen every week, Roni was most enthralled by the depictions of general stores and authentic handbags and clothing worn by the actors. 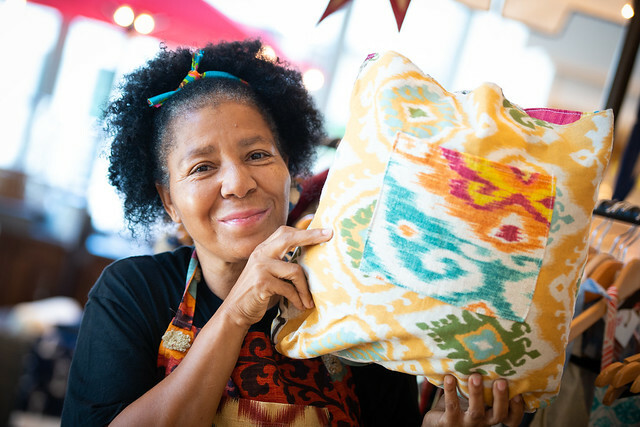 Since her childhood, it’s been a richly varied creative adventure for Veronica “Roni” Walter. The long-time Los Angeles resident designed hip hop clothing for actors on The Fresh Prince of Bel-Air and Saved by the Bell. Working under her brand “PoetRoniGirl,” she was a booking agent for a number of music videos and local acts, a writer whose original poetry was recited by Brandy Norwood on her TV show Moesha, and a popular touring poet at numerous colleges nationally. “I was kinda doing the whole Coachella thing,” recounts Roni. 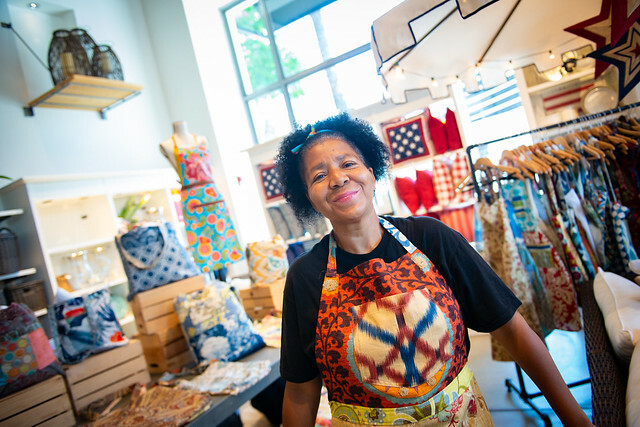 While pop-up retail stores may be transitory, Roni’s PoetRonigirl brand and selection of handbags and aprons were also gaining traction on social media outlets and through word-of-mouth. Intent on taking her business to the next level, she started visiting VEDC’s Women’s Business Center to obtain the necessary certifications and licenses needed to do business at markets and temporary locations. She was also interested in the educational and mentoring component of the center, and got involved with the WBC’s Fashion Advisory Board to learn from and support other local designers in the industry. In May of 2018, Roni discovered that one of her contacts knew a manager at the Pottery Barn in Beverly Hills. “My friend shared a few pictures of my bags with the manager, and she loved them. We arranged a meeting, and the manager invited me to be part of a new pop-up series showcasing local artists.” The response was so positive that her initial 3-month summer stay at the Beverly Hills store was extended into January 2019 and included appearances at the Santa Monica store. 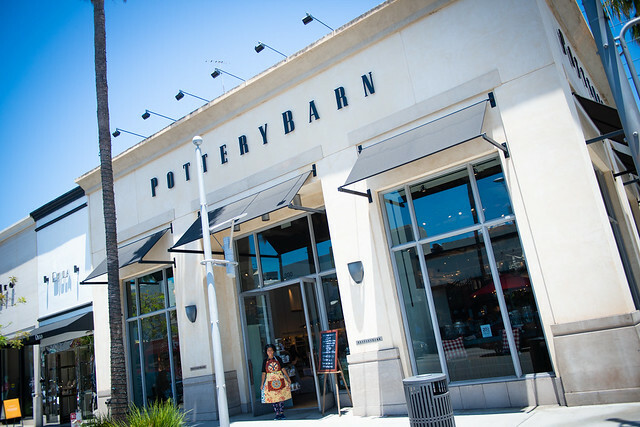 Then, something even more amazing: Roni was given the title of Designer & Resident of Pottery Barn Pop-up Shops and a national touring schedule where she will showcase her PoetRoniGirl products in Pottery Barn, West Elm, and Williams Sonoma stores across the United States. I loved meeting Roni When I stopped by Pottery Barn a few weeks ago. Being in business myself, it was clear to me that she was really onto something her personality is infectious and her products extremely unique. I can’t wait for more people to discover her and to go back and visit her once again.